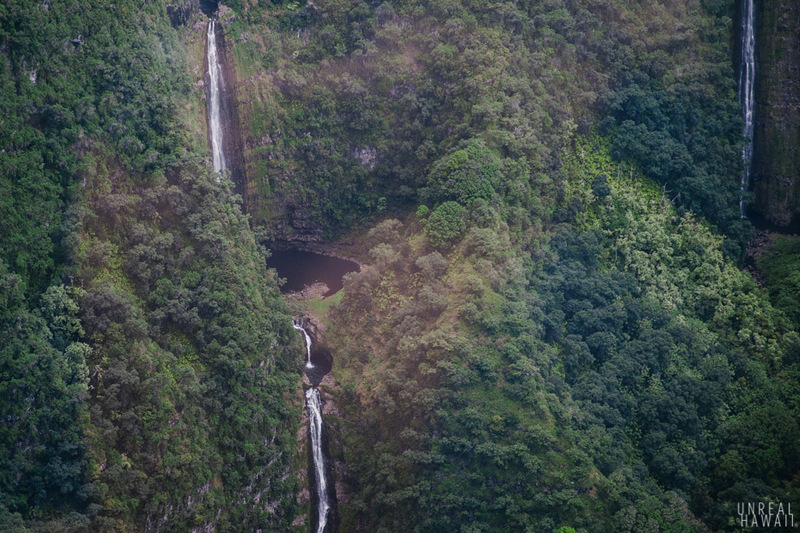 This is an aerial view of Moaula and Hipuapua Falls in Halawa Valley on the island of Molokai. 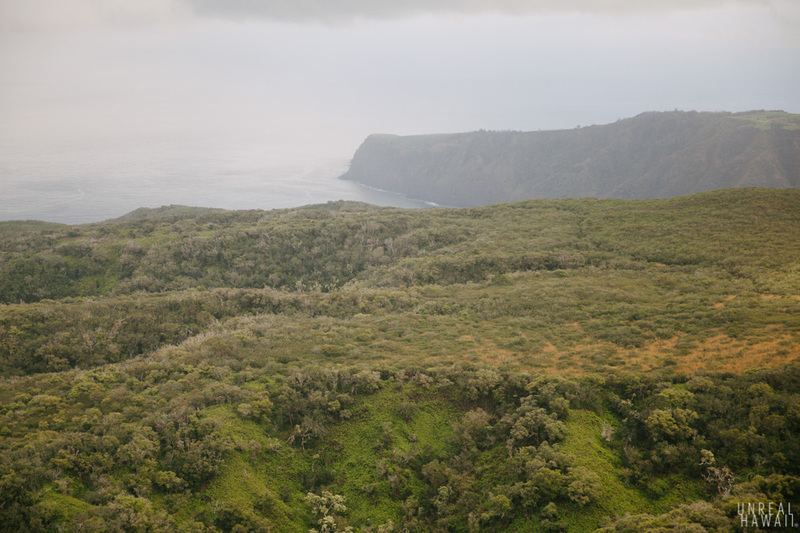 The island of Molokai is just 38 miles long by 10 miles wide. 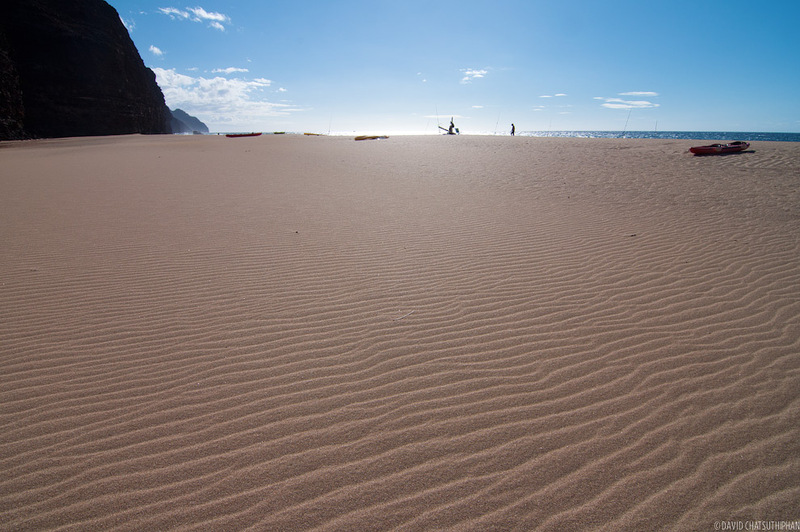 It’s Hawaii’s fifth largest island. 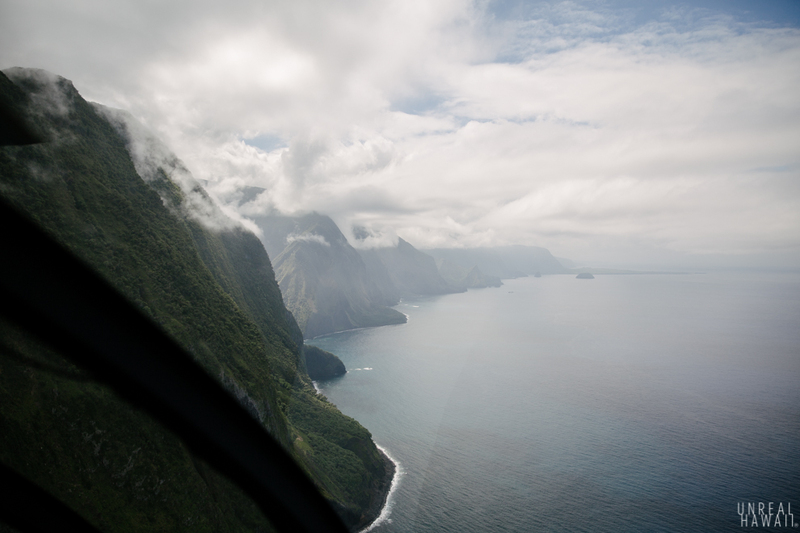 In some ways, seeing Molokai by air is a tease. I would eventually like to hike to these falls and seem them up close some day. 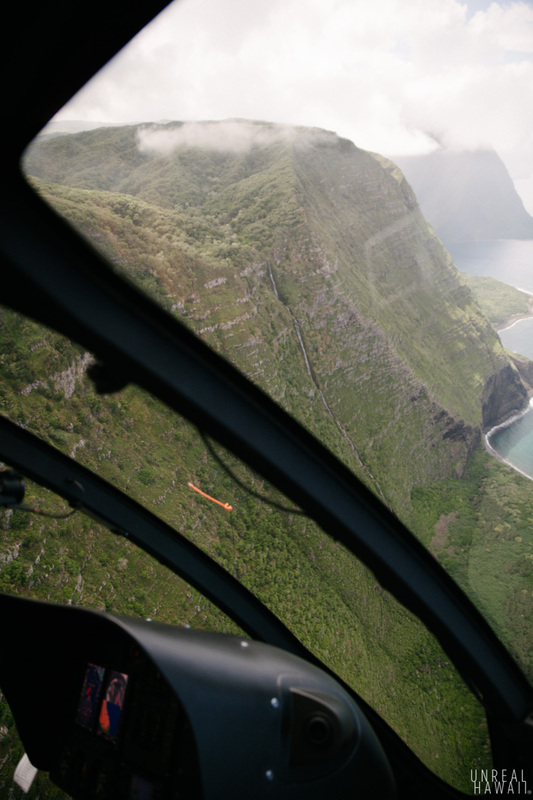 Seeing them from a helicopter felt like cheating, but then again … what a view. 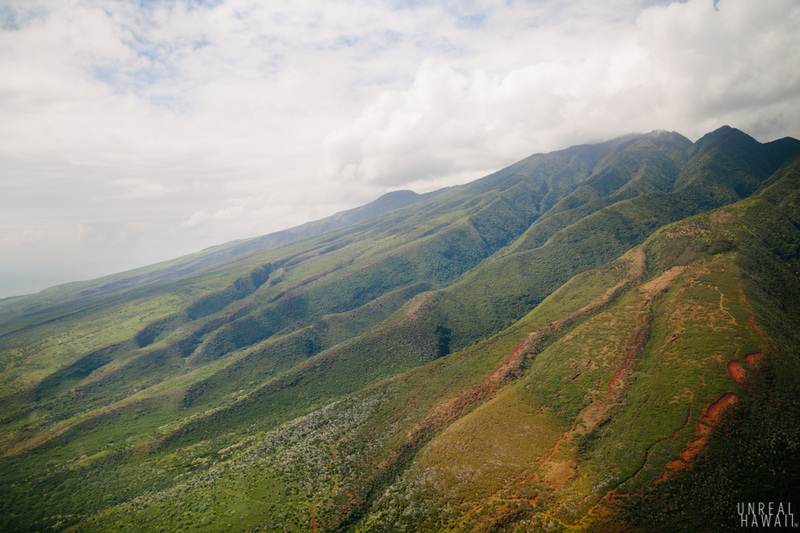 Views of Molokai from the air are jaw-dropping. 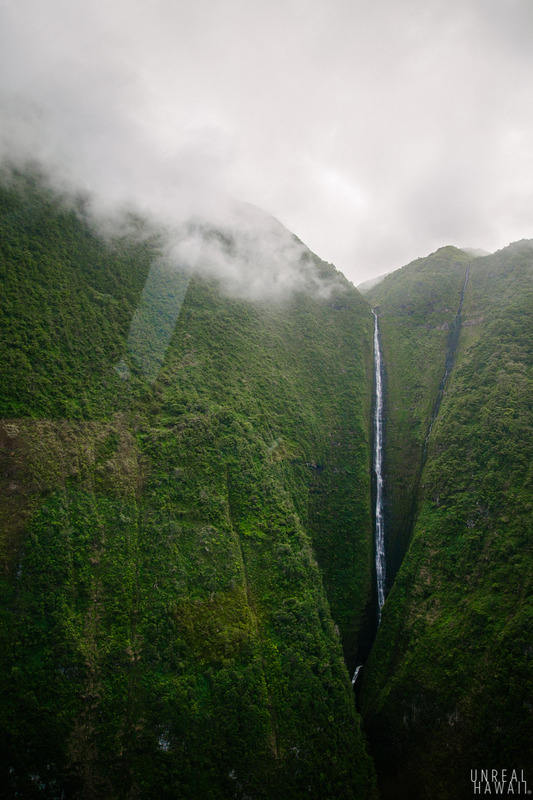 Some waterfalls, like Papalaua Falls (pictured above) on Molokai can only be seen in their full glory from the ocean or by air. 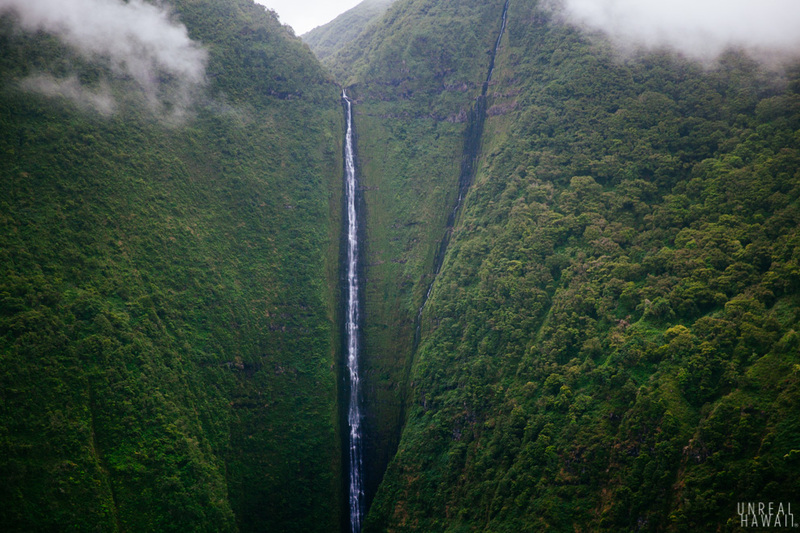 This waterfall is some 1200ft tall. 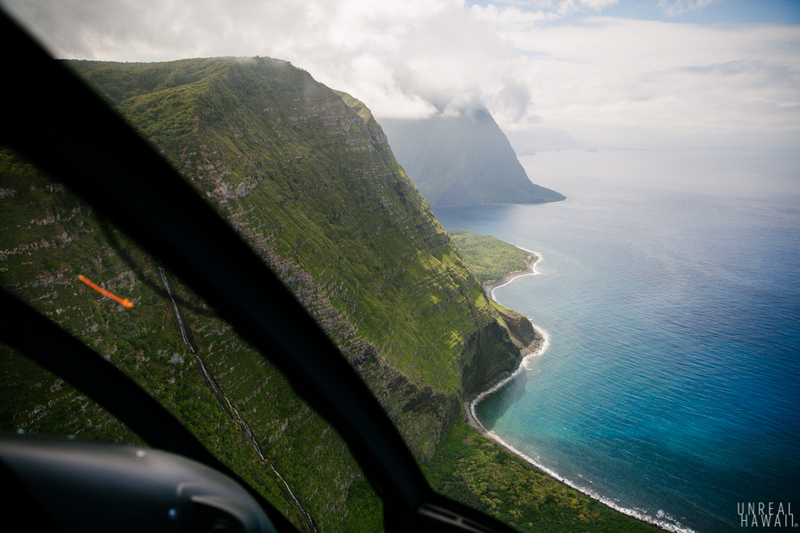 Our method of seeing these views was a Molokai helicopter tour. 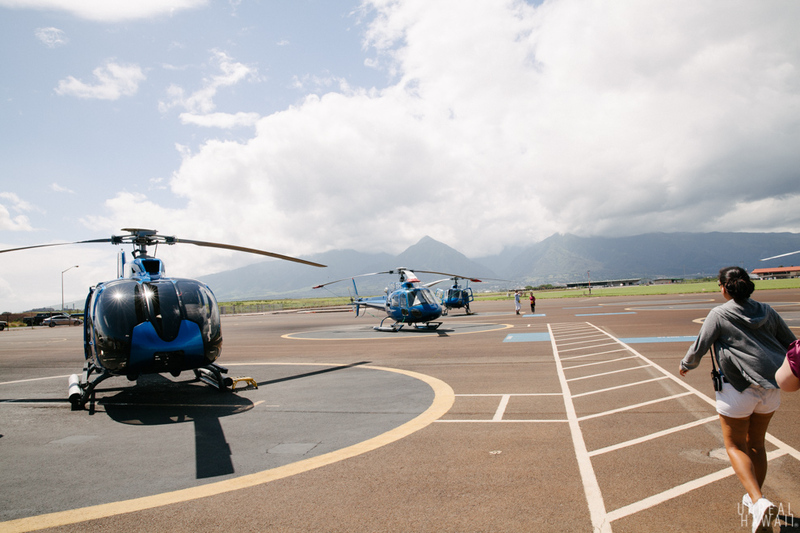 The tour starts at the Blue Hawaiian facility in Kahului, Maui. 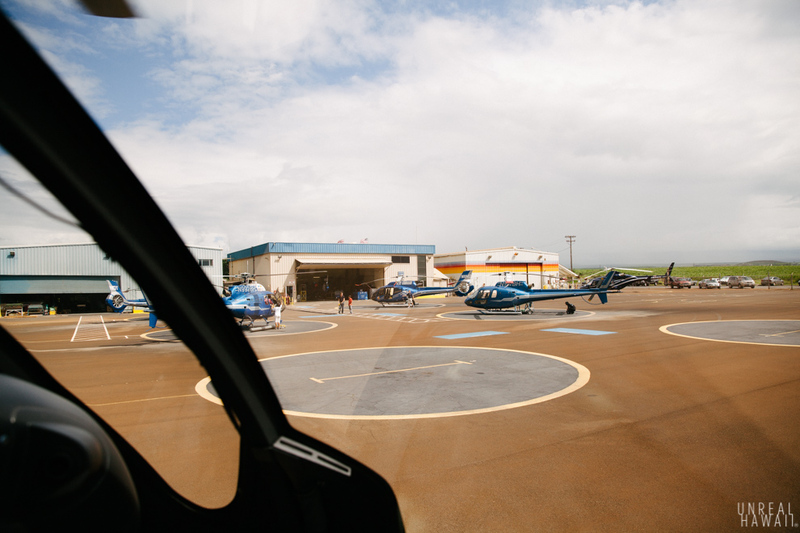 After checking in we watched a short safety video then boarded one of their Ec0-Star helicopters. This machine looked new and felt new. 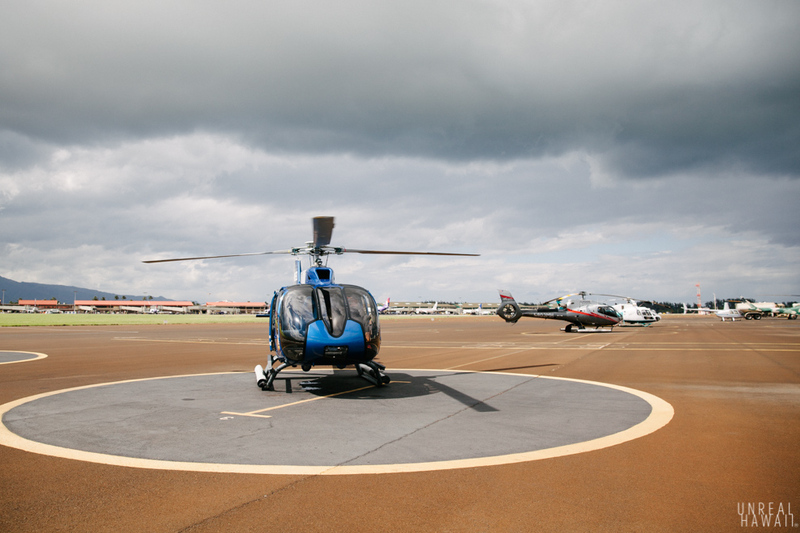 When a helicopter takes off you feel like you’re floating. 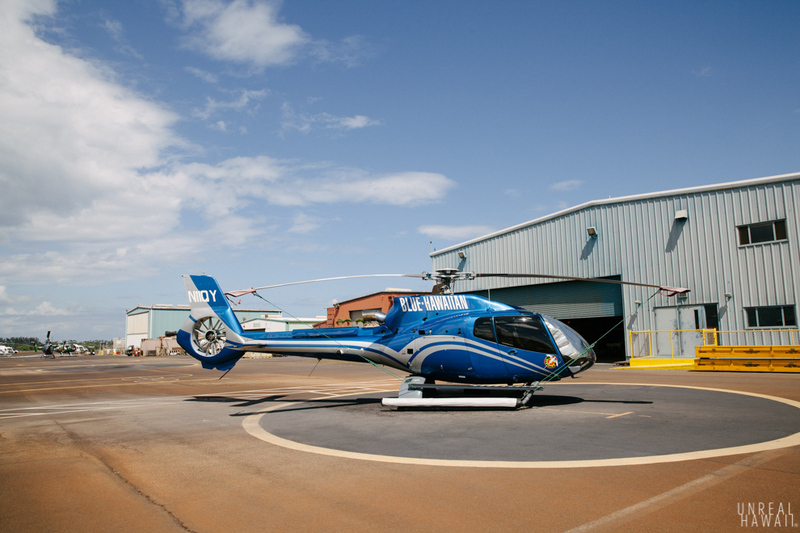 I was stoked to see that on this particular helicopter, the windshield was shaped like a bubble. 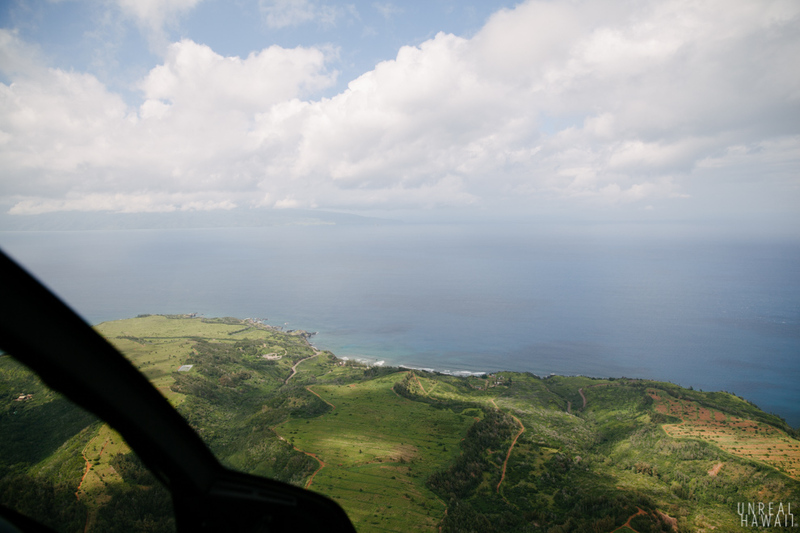 We made our way over the northwest section of Maui. 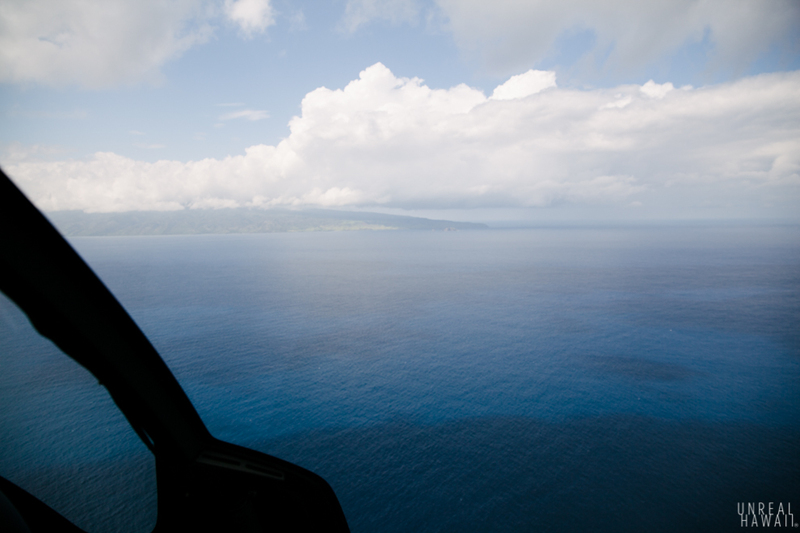 Soon we could see Molokai off in the distance. 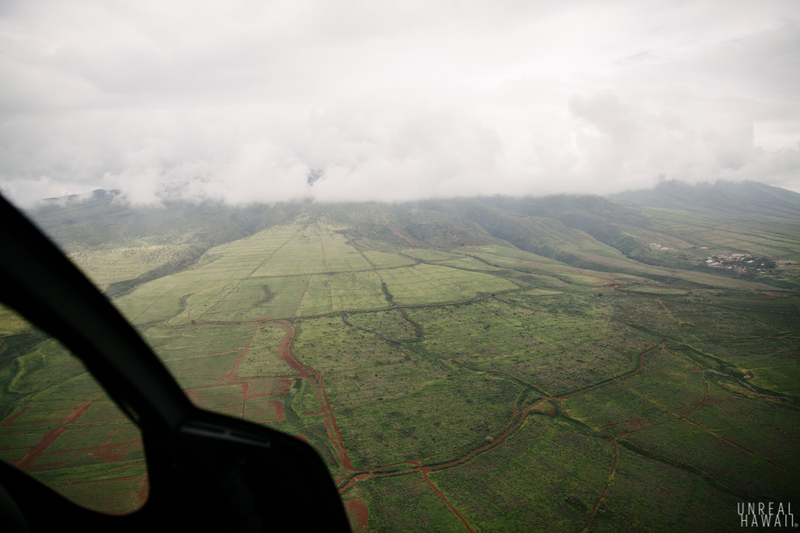 To get to Molokai, we would fly over the 30-mile wide Pailolo Channel. Kanaha Rock greeted us at Molokai. After a brief flyover of some farmlands we made our way to a place I’ve been wanted to see for some time now. 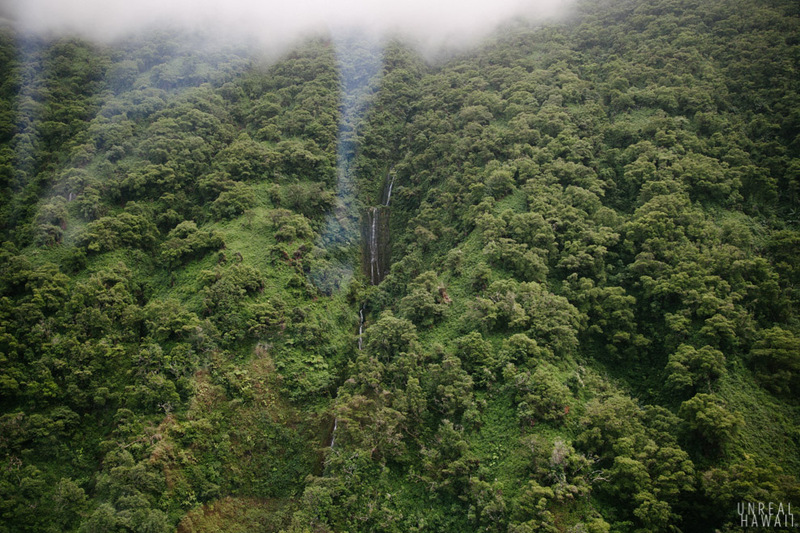 Halawa Valley. 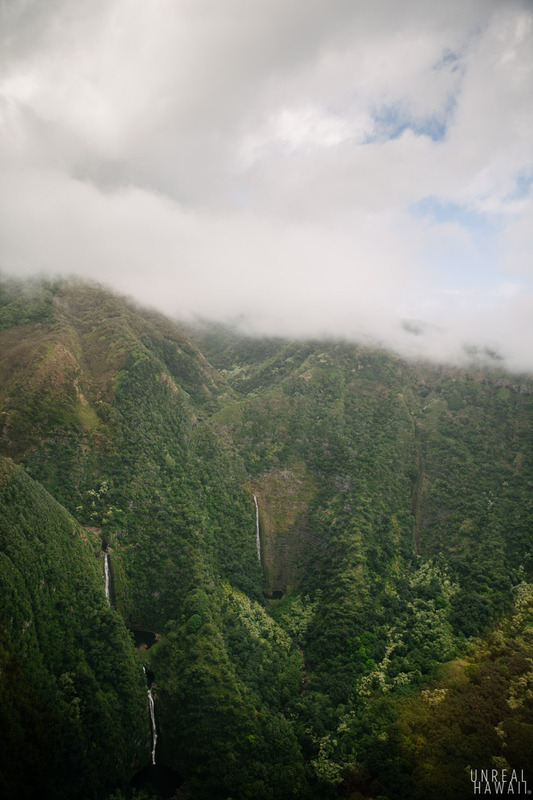 Mooula Falls and Hipuapua Falls descend into Halawa Valley from above. 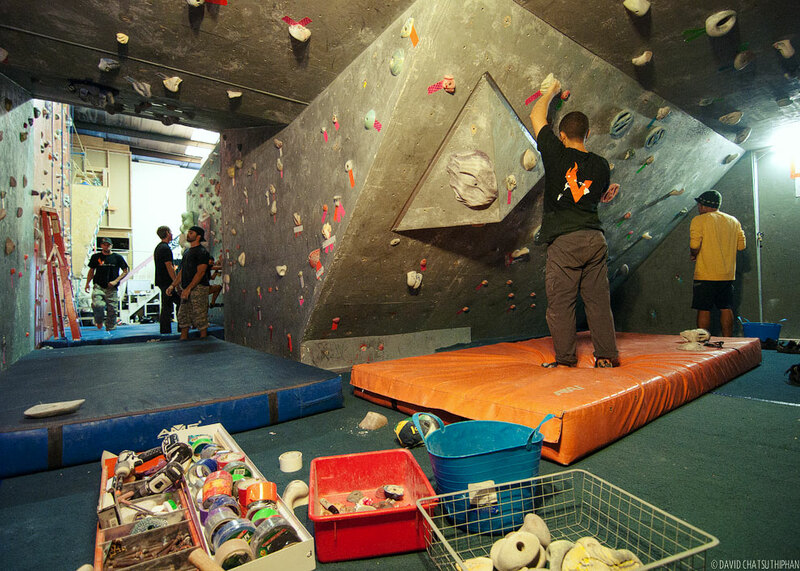 Each is a multi-tiered waterfall. 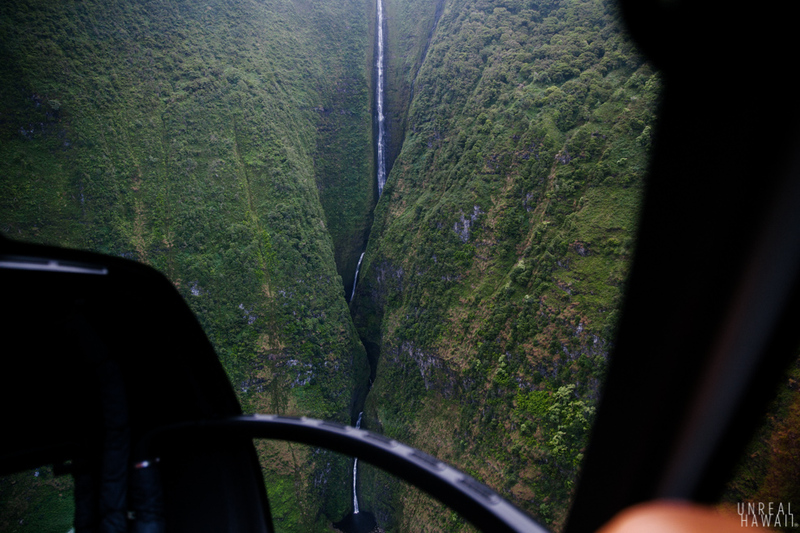 Hipuapua Falls drops some 500 feet. 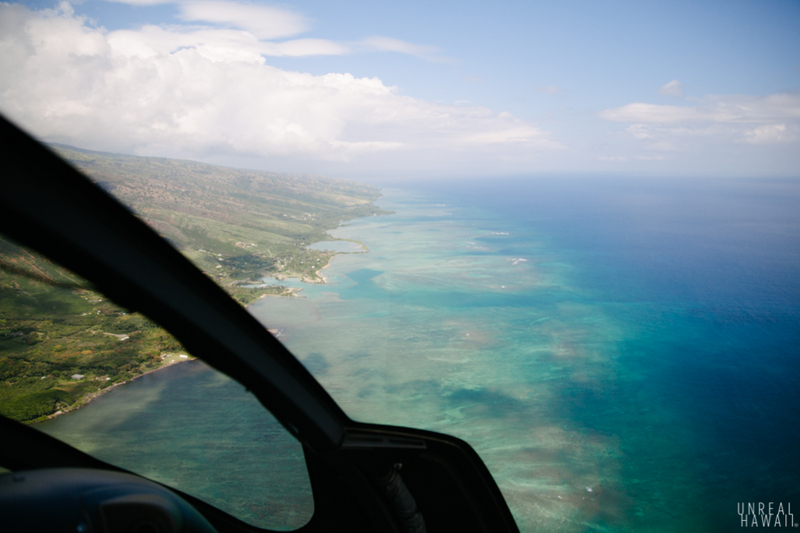 Our helicopter then flew us to the North side of Molokai. 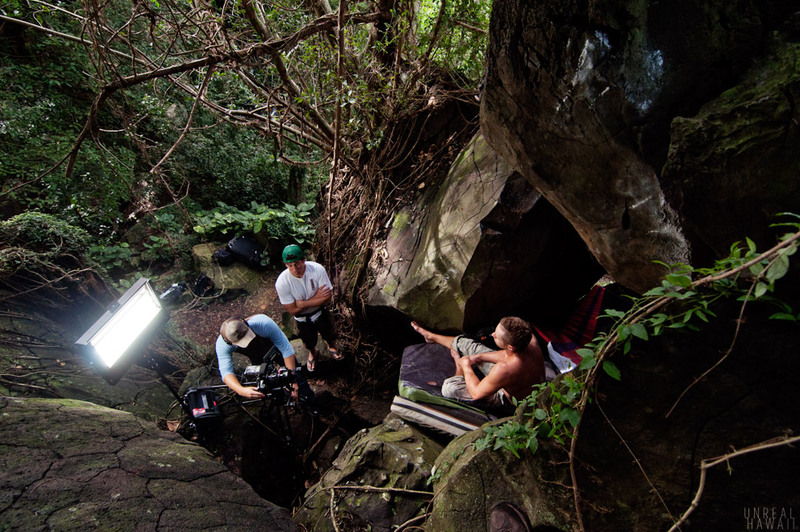 Over the edge of this cliff is one of the most stunning views in all of Hawaii. 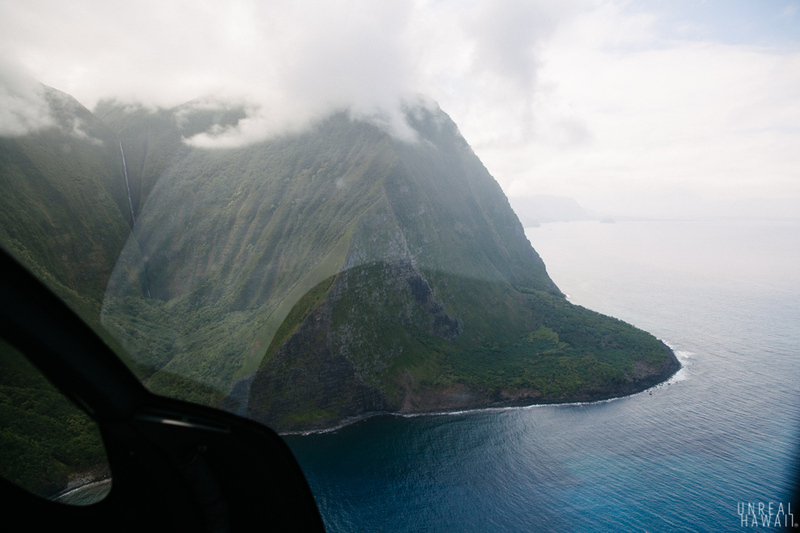 As we flew over the cliff our pilot made a sharp left turn and we could see the 4000ft Molokai sea cliffs. Waterfalls streamed off the cliffs into the ocean. 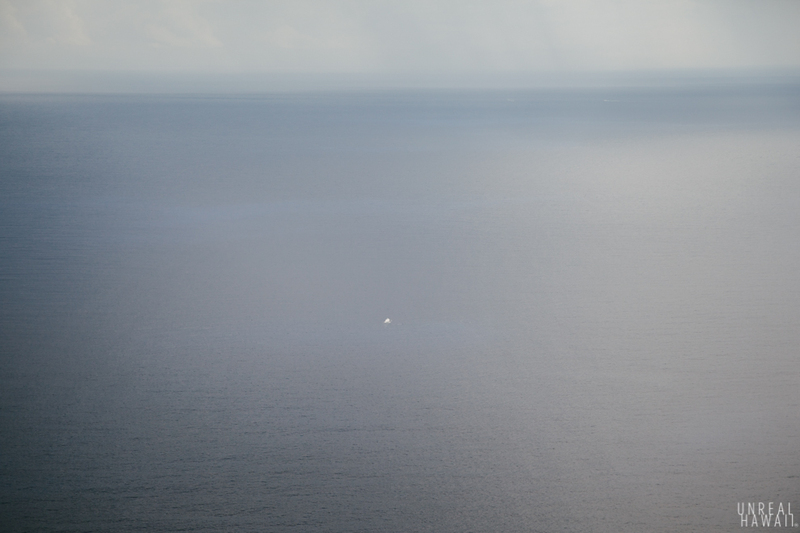 As we leveled out, the sun peeked out and lit the ocean up blue. Looking down we could see that the cliffs continue directly into the ocean. 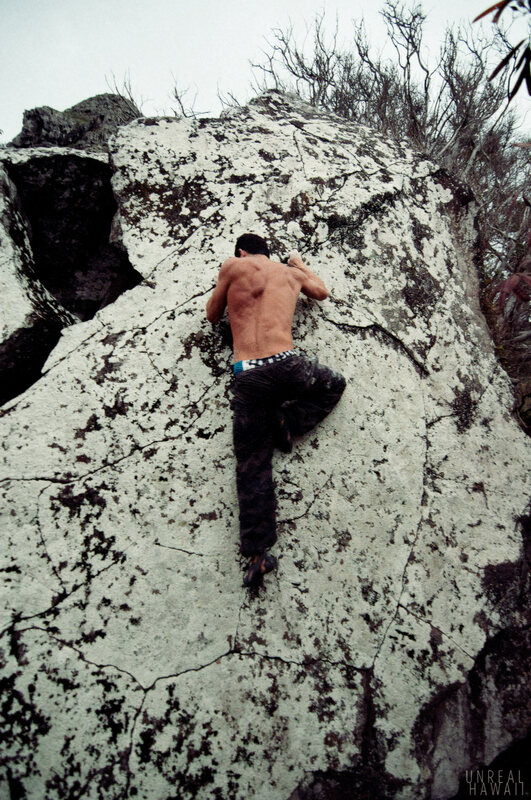 There’s no beach here as these cliffs were created by a massive landslide. 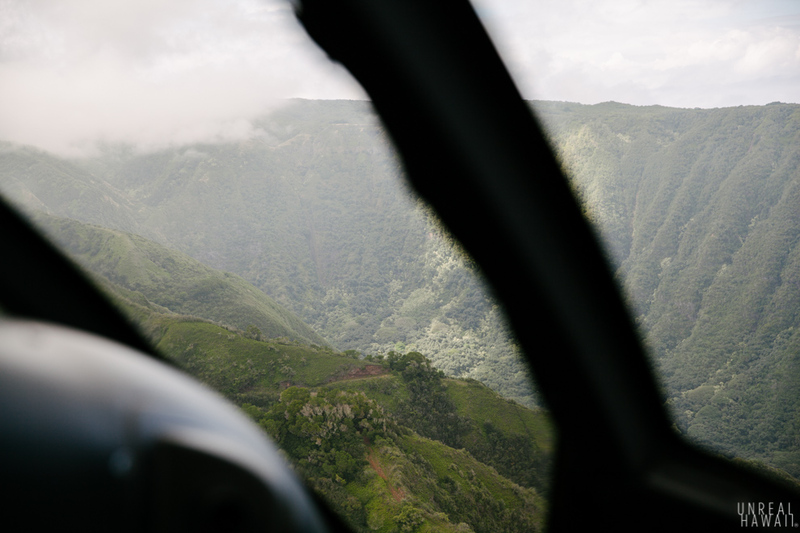 We were then treated to a view of an extremely remote part of the land. Tucked away in the back of the gulch you see to the left is a 1,200ft waterfall. 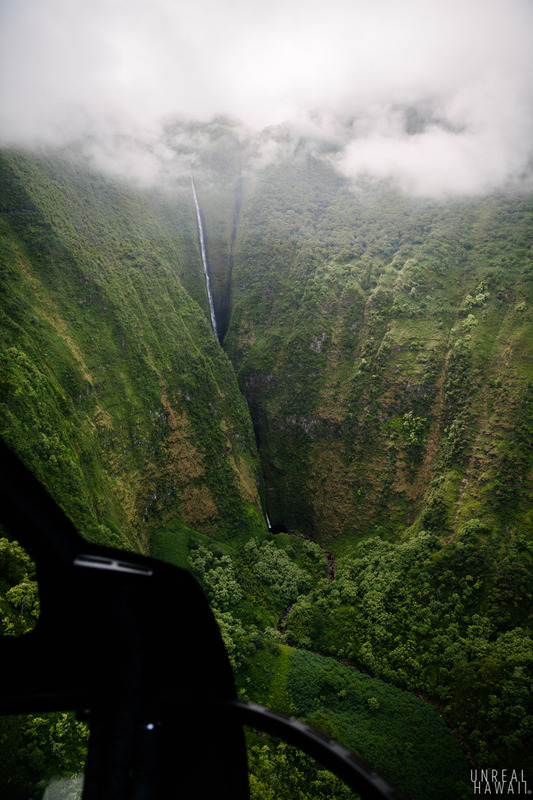 We flew in to get a closer look at Papalaua Falls. 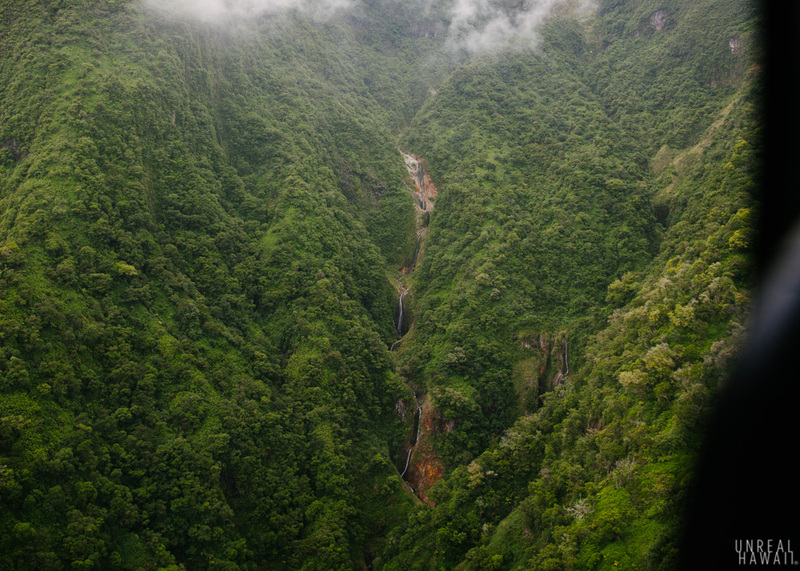 From the air you could see all the different drops of Papalaua Falls after the tallest one. Waterfalls lined the steep walls of this gulch as well. 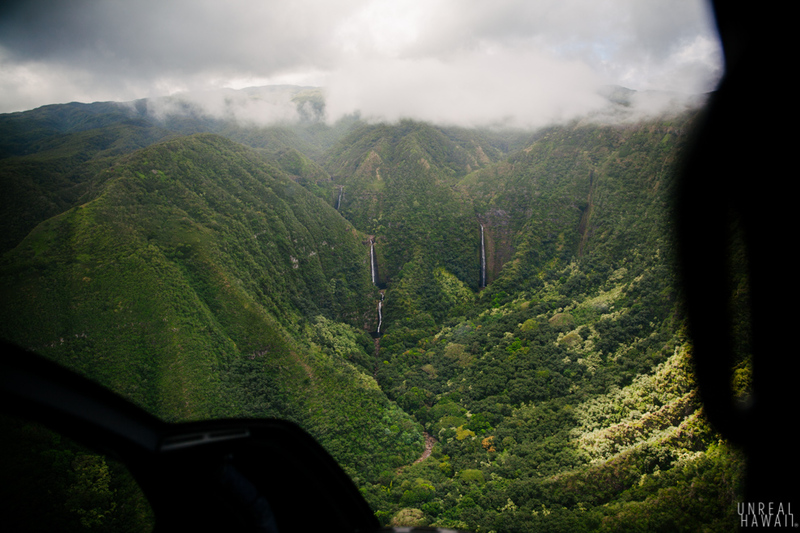 We got a look at the base of Papalaua Falls as the helicopter backed out of the gulch. 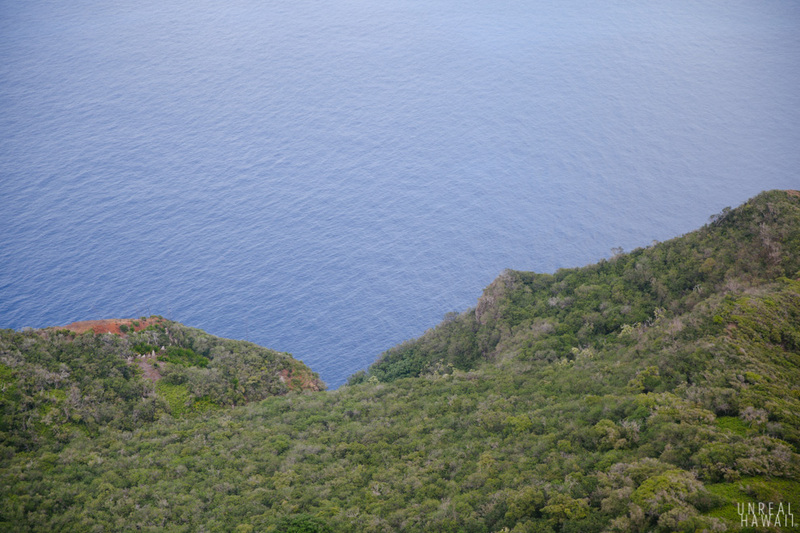 We continued West along the Molokai sea cliffs. 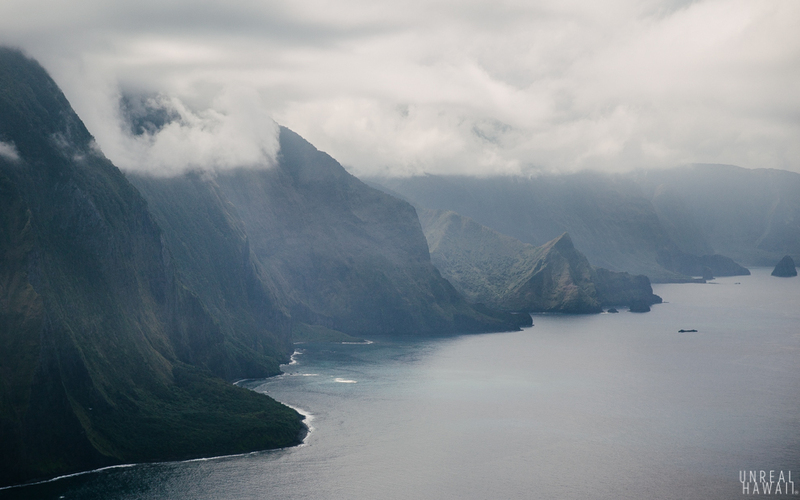 The views of this section of coastline rival Kauai’s Na Pali in their wildness. 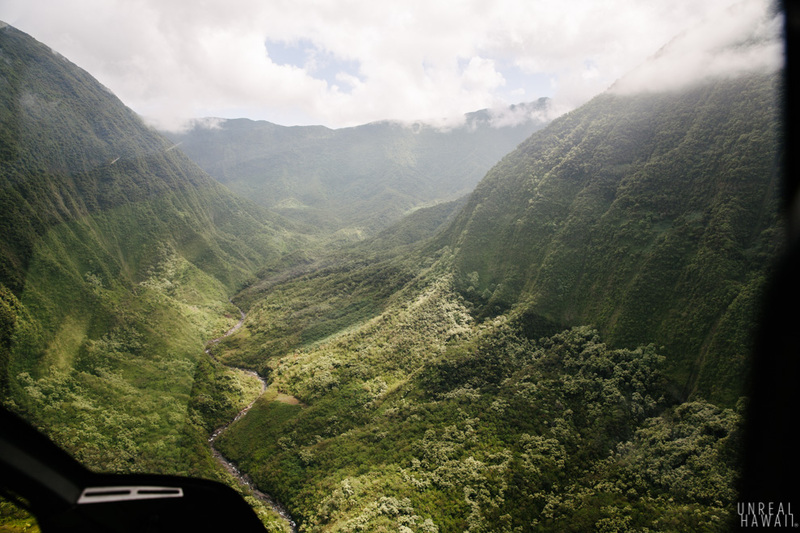 We flew through another valley as we made our way to the South side of Molokai. 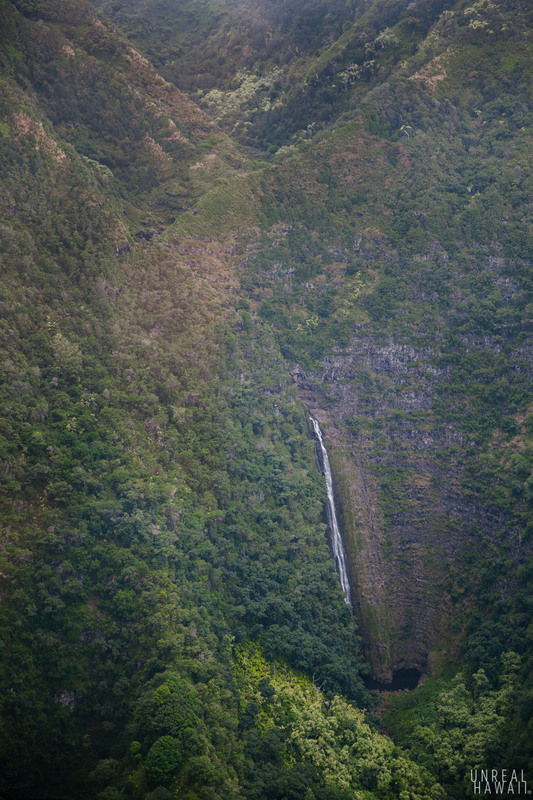 Waterfalls are abundant on this island. 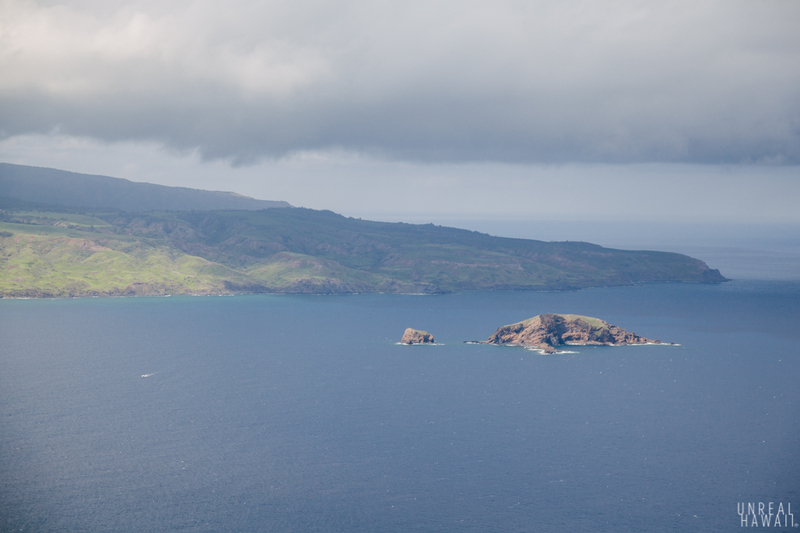 As we passed over southeast side of Molokai we could see the path of the lava flow that created this amazing island. 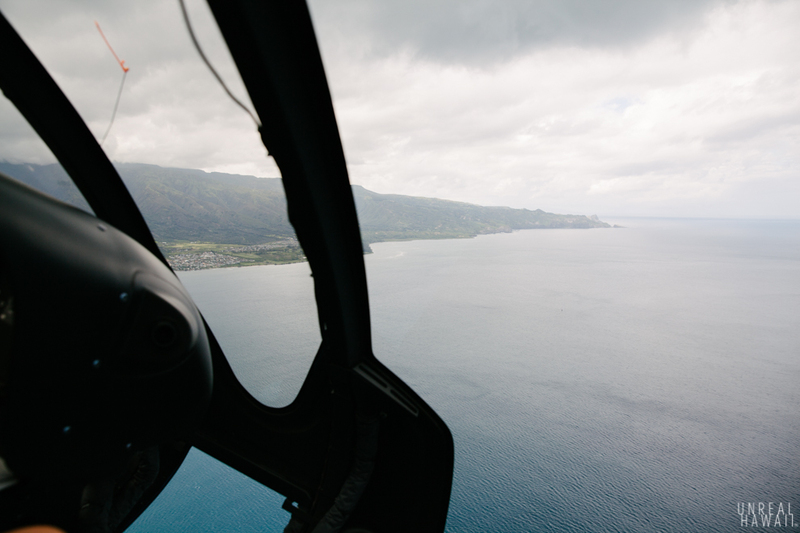 We would now make our way back to Maui. 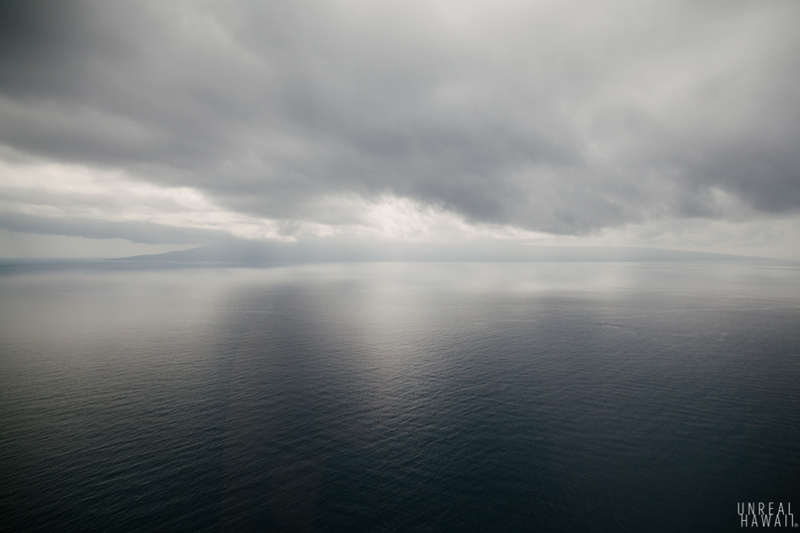 Soon, there was nothing but ocean below us. 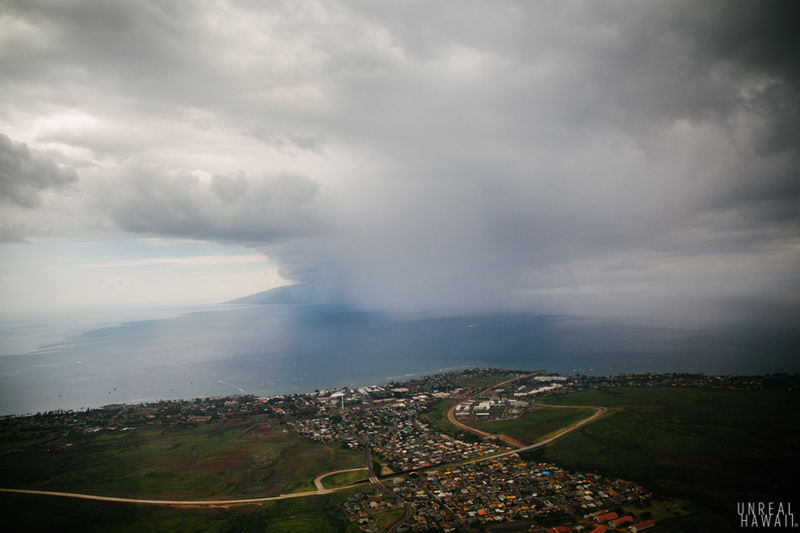 Maui was covered in clouds and the Pailolo Channel showed their reflection. 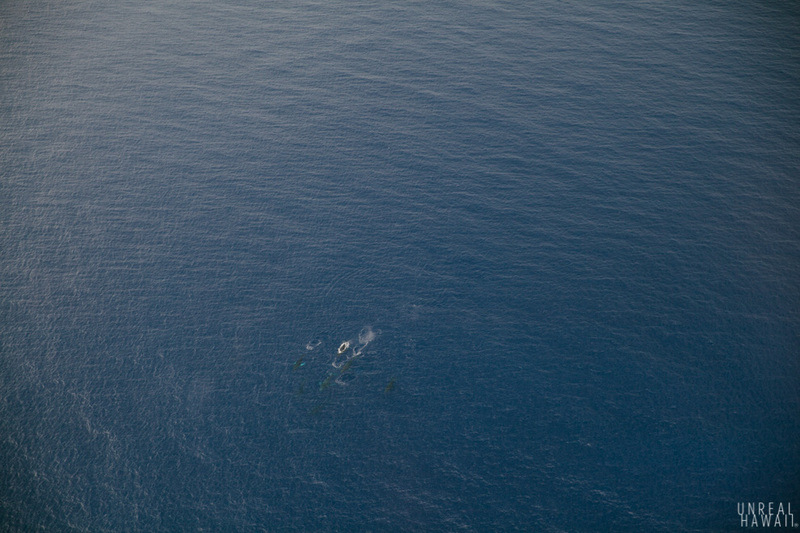 In the distance we saw a splash. 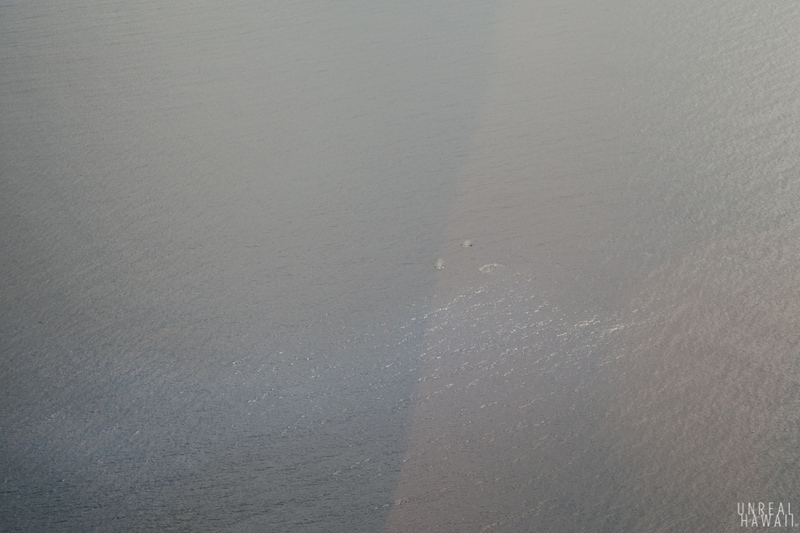 And then, a couple of blowhole spouts. 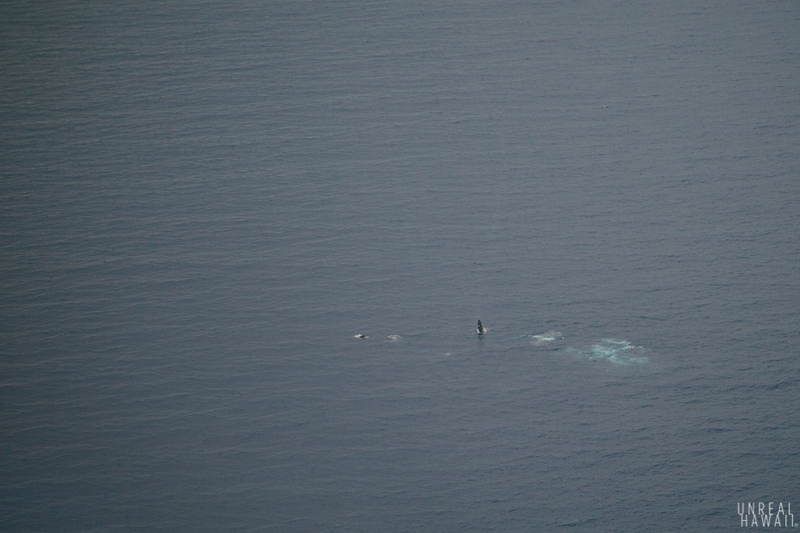 This was whale season and humpback whales were everywhere. 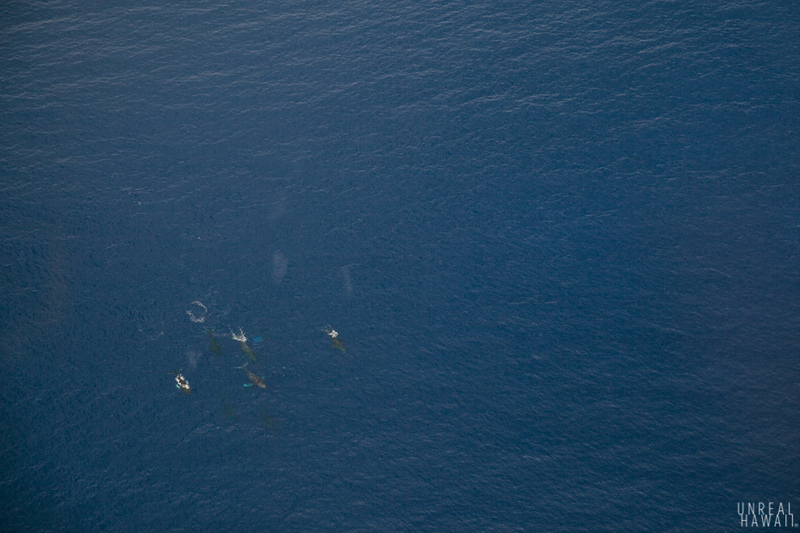 Between January and April you can just look out to the ocean from almost anywhere in Hawaii and you’ll see whales. 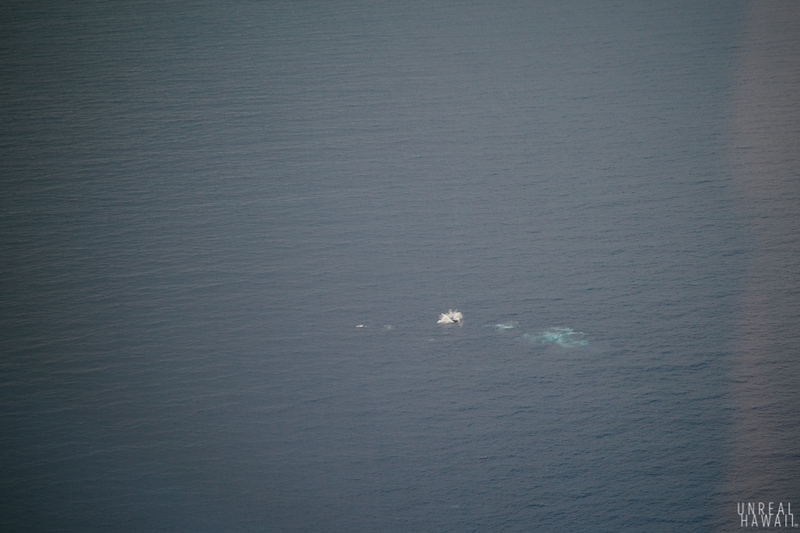 In the distance I caught a whale breaching. It made a big ol’ splash. A squall was approaching. We had passing showers over the islands all day but somehow got enough pockets of sun for our tour. 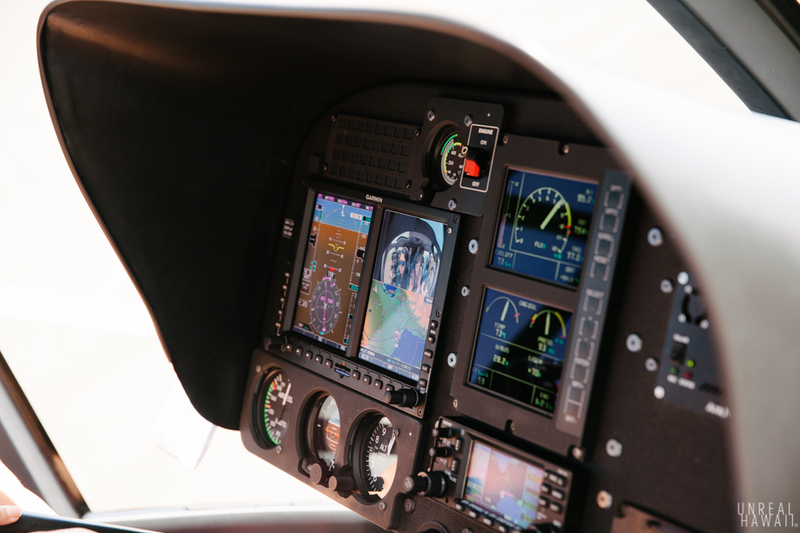 And then sadly, we were back on the ground. I’ve been wanting to do this tour for some time now and the views we saw did not disappoint. 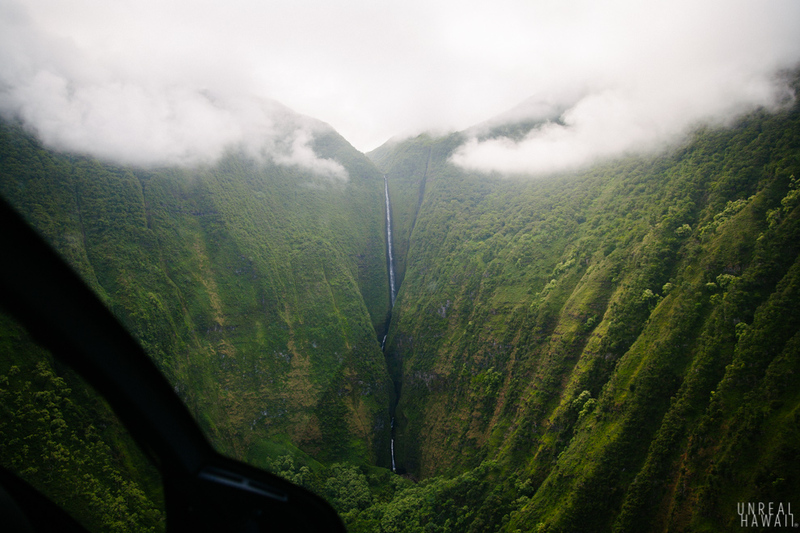 It’s also inspiring me to plan a trip to Molokai to do some hiking and see those waterfalls in person. 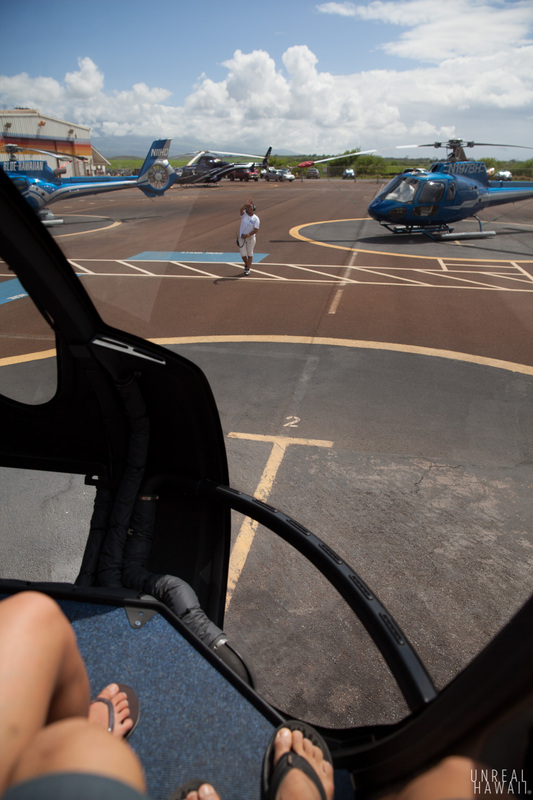 You can book the West Maui to Molokai helicopter tour through ExperienceHawaii.com.